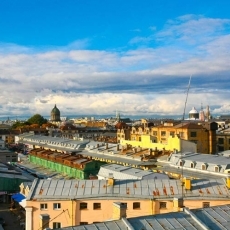 Professional dancers and singers, bright stage costumes and live music from the folk orchestra will make your evening in St. Petersburg unforgettable and joyful. 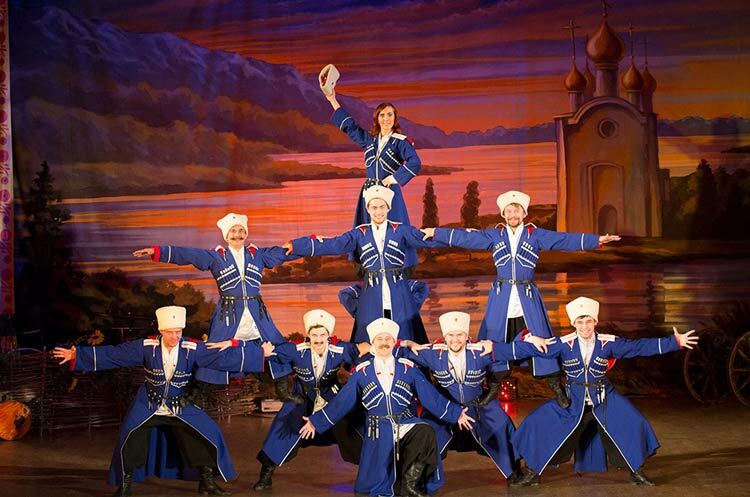 Take a chance to visit a fascinating and colorful true Russian folk show! 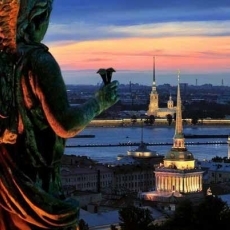 You will immerse into the atmosphere of Russian original culture and traditions. 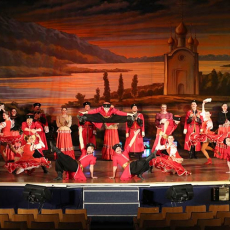 A live orchestra, a dancing choir and singing ballet, the Cossack spirit, youthful valour, folk humour, the dazzling colours of historically-accurate Cossack costumes - all will make your evening in St. Petersburg bright and unforgettable. 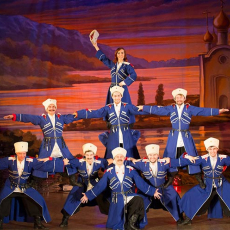 Each act is a scene from the real life of Cossacks, told in a song or shown in a dance. 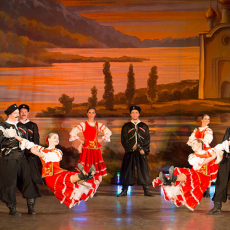 Epic poems and ballads, love, passion and traditional Russian celebrations are all presented in contemporary language, understandable to any viewer of the show. Your native language doesn’t matter – vibrant Cossack songs and dances energise any audience with their fierceness and high artistry that truly excite. 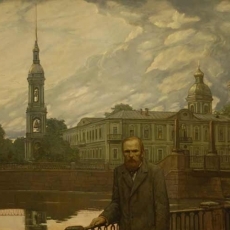 This is a unique and authentic show that allows you to feel Russian history and the Russian soul! The performance takes place in an architectural monument – the house of Countess Sophia Panina, the great enlightener of the early twentieth century, the richest woman of the country, who dedicated her life and fortune to the fight against illiteracy and dullness. The concert consists of 2 sections of 45 minutes each. The show is performed from the middle of May till the end of September. Please, send a request to receive a schedule. entrance tickets to Russian folk show. Transfer to the show and back is available upon your request. The show is understandable for everybody, regardless of the language you speak. The show starts at 8 p.m. almost every day from the middle of May till the end of September. 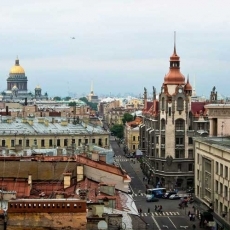 You can include this folk show into your sightseeing tour of St. Petersburg or order it separately.